12925-12929 115A Avenue, Surrey - Studio, 0 bath - For Sale Arnold Real Estate Team - Brent & Denean Arnold - Realtors with HomeLife Benchmark Realty (Cloverdale) Corp. The Most convenient location in low mainland of Great Vancouver. The lowest price in town!! Lot across from an Elementary school at a dead end and close to the Scott Road Skytrain Station. There is a potential to build your home or hold for investment. Great for fist time Buyer or investor. Located in a developing area. and easy access to al main roads. The 2 Lots (each 25x100= 2500 x2 = ) 5,000 square foot. 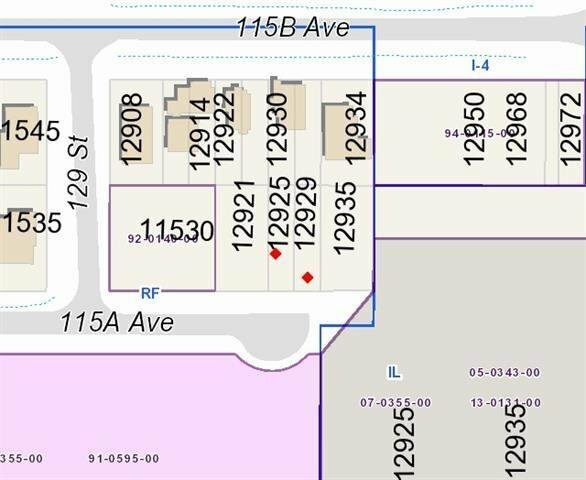 The 2 Lots are being to be sold together. Buyer or buyer's agent to make their own inquiries about all matters from the City of Surrey.